Mahdi Fleifel’s dazzling first-person documentary takes us inside the Palestinian refugee camp of Ain el-Helweh, where the approaching World Cup championship has become a means for the residents to articulate their own ideas of home, community, victory and hope. One day, the residents have a meeting to discuss the maintenance problems the building is suffering from. Restoration work is needed, but they cannot agree on what color to paint its façade. Their meeting is disrupted by the sounds of the approaching war.The long war sees many of the building’s residents leave and new ones arrive as the chaos rearranges the city and its inhabitants. Karim, now an adolescent, is caught up in the storm of the war and lives the conflict of the building interiorly as well as exteriorly where its facade is continuously tagged with political slogans and pictures of martyrs, a face of the changing periods of the era. After a close shave, Karim’s parents decide to send him away from the danger and his home. In the 90s, the conflict stops and a huge reconstruction plan takes over Beirut. A sense of hope pervades. 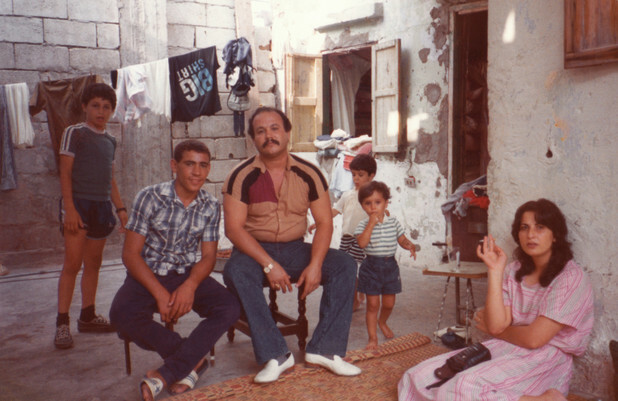 Karim, grown-up, returns from the United States where he has studied cinematography, and moves into an apartment in the building, which is showing signs of wear and tear. More than anything, Karim wants to restore the home of his childhood to its former glory, to recapture the past that was so violently robbed by the years of war. His task is obstructed by the construction plans of a real estate giant that wants to transform the area into a commercial district.Karim meets Maya, a young Canadian-Lebanese woman who has just returned to Beirut. Working as a journalist, Maya feels saddened by the characterless reconstruction that is eating up Beirut’s history. The pair both feel lost in this new version of Beirut. Maya left as a young child and is searching for an identity here, while Karim is trying to make sense of a city he no longer recognizes. 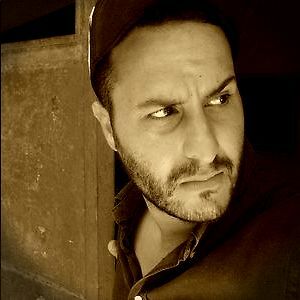 Mahdi Fleifel is a Palestinian-Danish filmmaker based in London.